Portland, Maine (April 25, 2018) – New England Fights (NEF) returns to Aura in Portland, Maine with its next mixed-martial-arts event, "NEF 34: Home of the Brave," on Saturday night, June 16, 2018. Earlier today, the fight promotion announced the addition of an amateur women's bantamweight bout to the card. Carol Linn Powell (0-1) is scheduled to face Sarah Matulis (1-0) at a fight weight of 135-pounds. Powell is the wife of current UFC signee and former NEF MMA Professional Lightweight Champion Devin Powell (8-3). Together, the couple owns and operates Nostos MMA & Conditioning Facility in Somersworth, New Hampshire. The gym earned the "Best Martial Arts Gym" designation in the 2017 "Best of the Seacoast" awards. Carol Linn made her in-cage debut last November in Portland against Francesca Morabito (1-0), losing a hard-fought decision on the judges' scorecards. 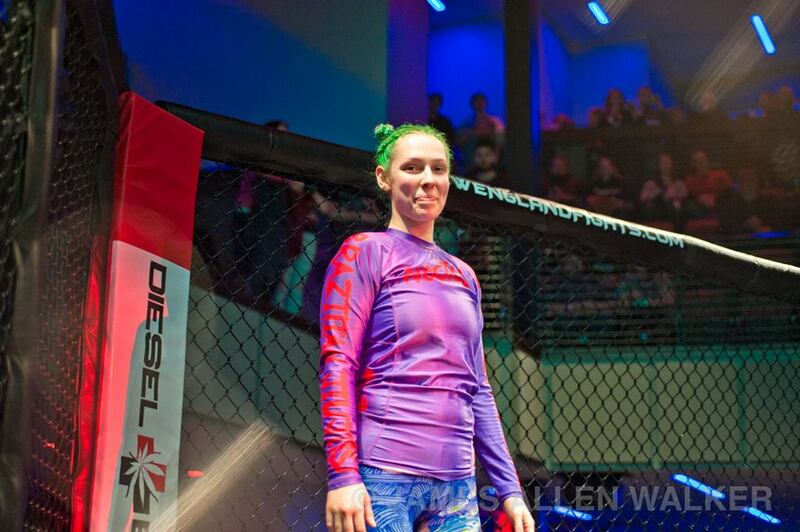 Earlier this month, Powell grappled Chelsea Tucker to a draw to open "NEF 33" in Portland. 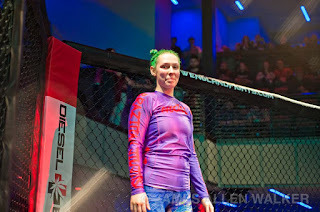 Like Powell, Sarah Matulis did indeed make her cage debut at "NEF 31" last November in Portland. That evening she was victorious over Chelsea Tucker with a first-round technical knockout. By day, Matulis is a mother and nurse practitioner who studied nursing at Pace University in New York. 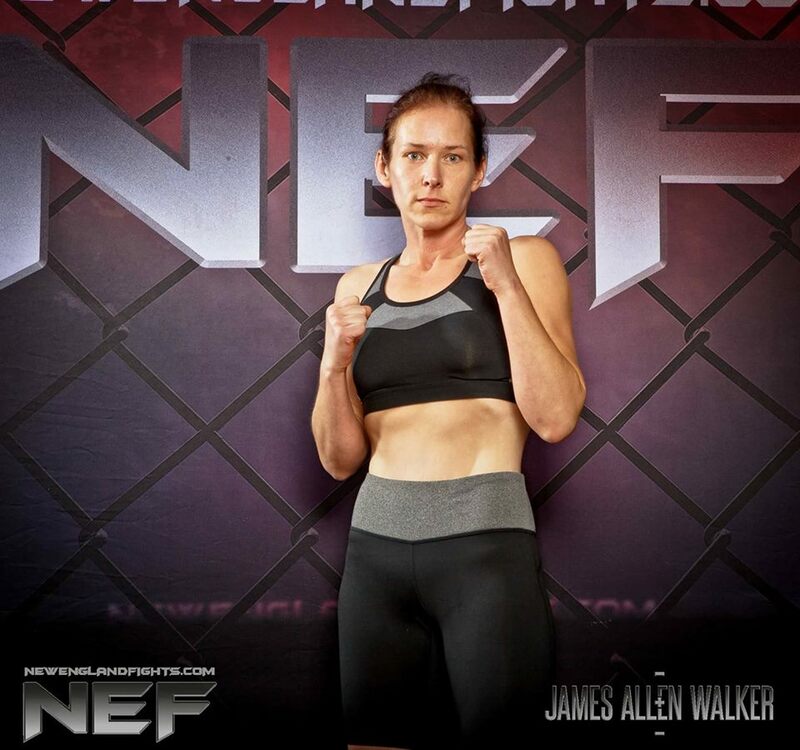 She is a member of The Outlet based in Dexter, Maine and regularly competes in grappling events throughout the New England region. "I’m thrilled to be competing again for NEF," said Matulis. "Carol Linn and I are both budding amateur fighters. I know she’s hunting for her first win, but I plan to remain undefeated. NEF fans are accustomed to seeing spectacular WMMA bouts, and I fully expect this fight will keep to that standard."